Any employee who operates a commercial vehicle is required to have a medical fitness of duty exam also known as a Department of Transportation, or DOT certification exam. This evaluation is necessary to ensure that each driver is healthy enough to complete the responsibilities associated with commercial driving. The driver’s medical history and the current state of health, both mental and physical, are taken into account. To remain a commercial truck driver, you must have a DOT exam every two years. With an evaluation from our doctors, they will, determine whether or not you are fit for work. In addition, at DOTExamsNow.com, our physical also includes a drug and alcohol screening. This tests for various drugs and alcohol levels during your exam. When completed, we will provide you with all of the documentation required by the law in Palm Beach County, FL. Don't be nervous about not being able to pass your DMV exam. Our medical professionals understand how important it is for you to pass and continue as a driver. With their knowledge of DOT physical requirements, they will guide you. If you feel your medical condition will affect your driving status, let us know ahead of time so we can answer any questions you may have. To make sure the exam runs as smoothly as possible, drivers with specific medical issues need to bring the appropriate documents or items. 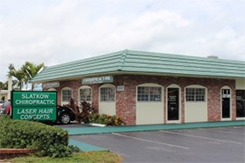 Although DOTExamsNow.com is primarily a mobile business, we can still offer commercial driver license exams at our convenient clinic in Palm Beach County, FL. It is easily accessible, located in the Walmart shopping plaza and has plenty of parking, with prompt no-wait service. We offer same day appointments and medical certificates if a driver meets all of the DOT certification requirements. You need to bring a complete list of your medications, including the dosage regimen, and your doctors’ names and addresses. Contact us today at DOTExamsNow.com for more information on our DOT certification exam. We proudly serve Palm Beach County, FL, and the surrounding areas. Florida law requires all CDL drivers to have a valid DOT medical card, unless the type of commerce you drive qualifies as ‘Excepted’. You must meet the state of Florida medical certification requirements. CDL holders can no longer claim exemption from physical examination requirements because they are not currently operating in non-excepted interstate or intrastate commerce. If not specifically included in ‘Excepted’ categories, you must maintain your physical examination or downgrade to a non-commercial license. If you self-certify in a category exempt from medical certification requirements (Category B or D) and later change to a non-exempt type of operation (Category A or C), you must recertify in the appropriate category and provide proof of DMV physicals to avoid potential enforcement actions. If you downgrade to a non-commercial license and later need to upgrade back to a commercial license, you may do so without DOT certification exam and additional testing. Florida’s CDL Self-Certification System allows Commercial Driver License holders to meet the new federal requirements for self-certification without needing to go to a driver license office or needing a DOT certification exam. You may use the online process only if you have a valid Florida Commercial Driver License. At any Florida Driver License Issuance Office, you can request to have a DMV physical certification. Drivers certifying in non-excepted interstate or intrastate commerce (Category A or C) must ensure their medical documentation is on file with the state issuing agency and that it remains current. Failure to maintain current physical examination documentation on file may result in CDL disqualification. The FMCSA has requested that all DOT medical doctors continue providing drivers with a paper copy of the medical certificate so that Commercial Driver’s License (CDL) holders can provide a copy to the State licensing agency, and the non-CDL drivers can provide the documentation to their employers and Federal and State enforcement officials.